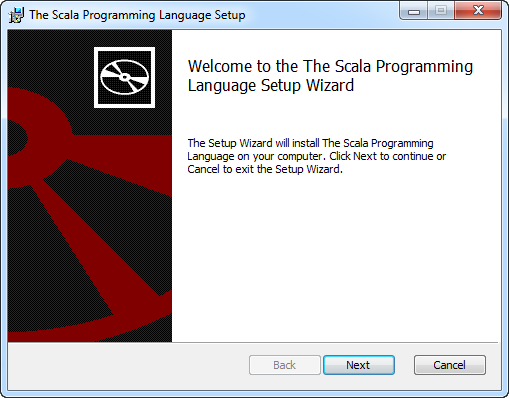 I am going to create a scala play hello world application on a Windows 7 machine and on an Ubuntu server. 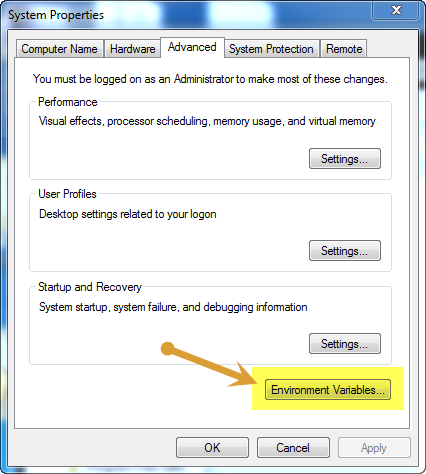 This guide goes over setting up the tools and environment, and does not get beyond the default Hello World much. 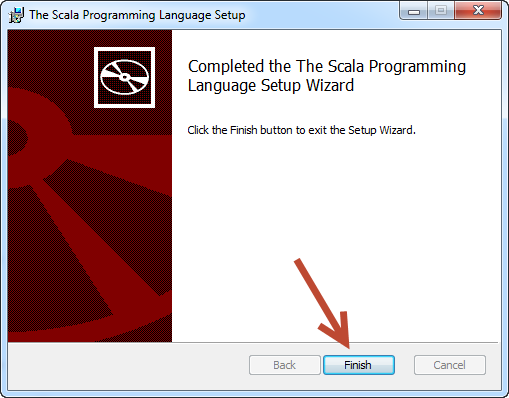 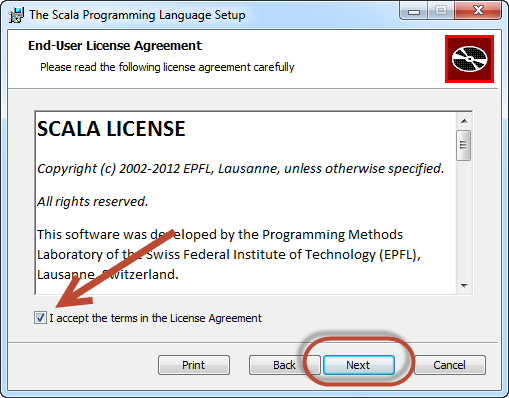 In this section I will go over installing Scala in a Windows 7 environment. 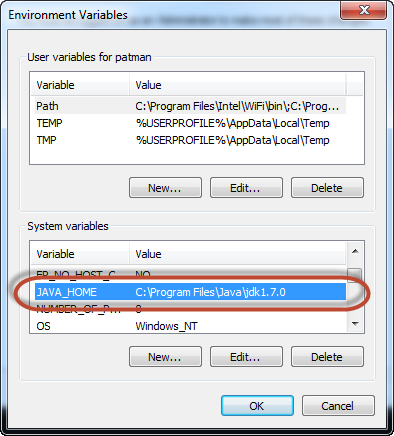 This guide assumes you already have Java 1.6 or later installed on your system. 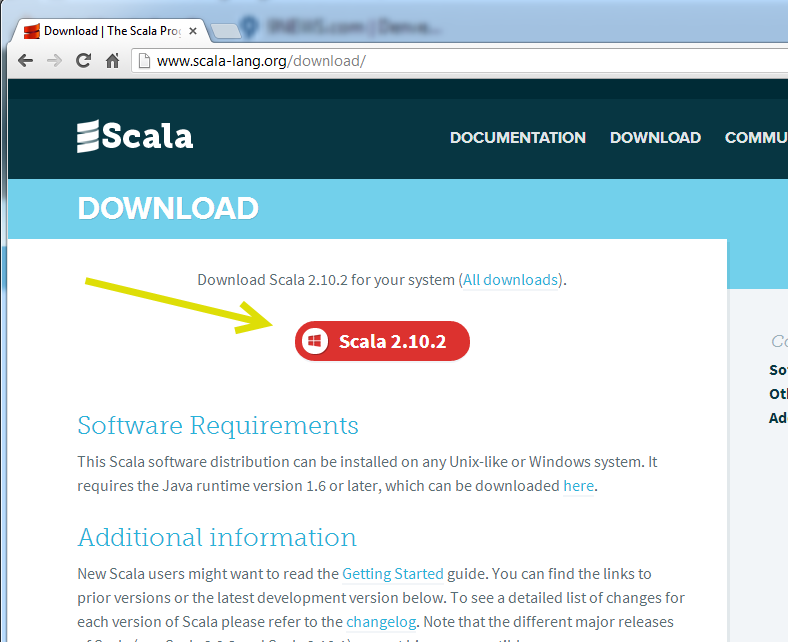 Click on the Download link. 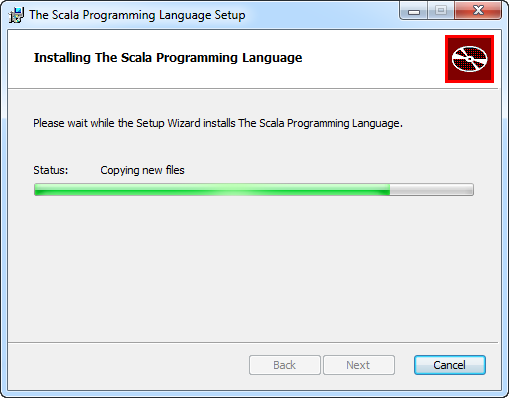 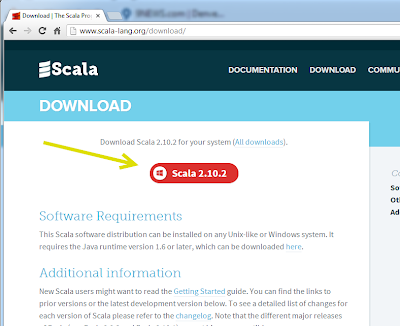 This will download the MSI installer provided by scala. 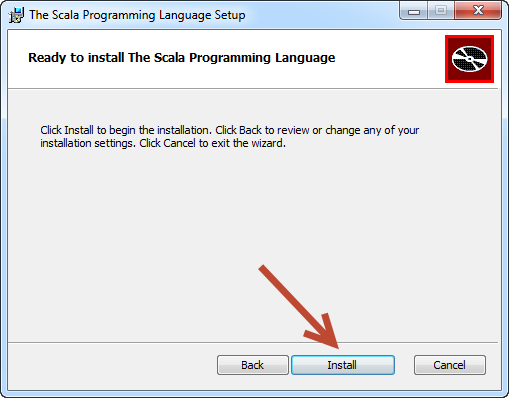 Open it up and run the installer. 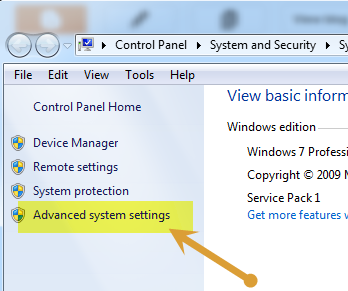 Make sure the location is OK for you and click Next. 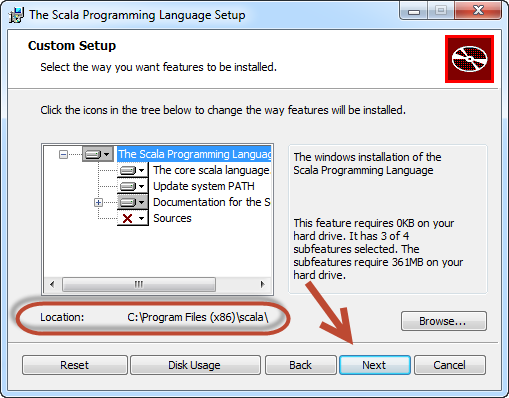 I use Cygwin a lot, so I want to make sure Scala is working on it as well. 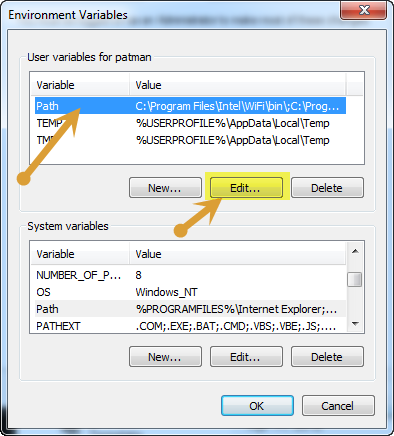 If I open a Cygwin window and run the following command. 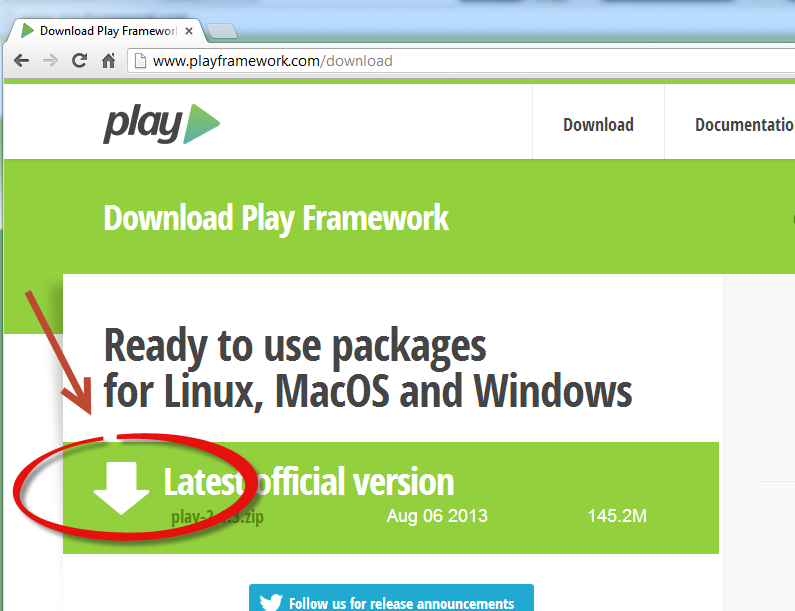 Here are my simple notes, which are based in part on playframework's install notes. 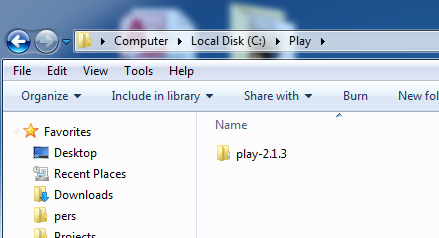 I created a Play folder on my C: drive and unzipped the contents of the downloaded file into it. 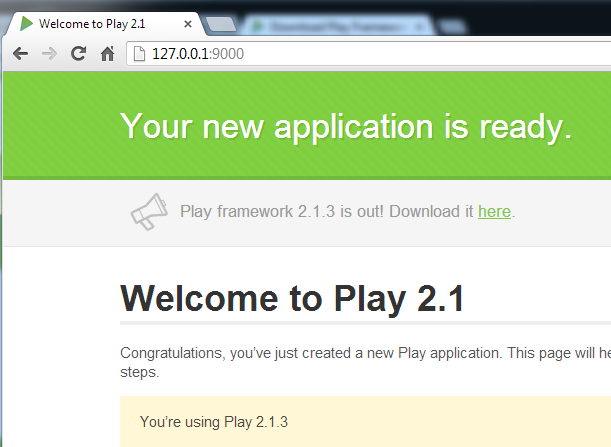 You should get this notice, that displays a few bits of information about the play framework. 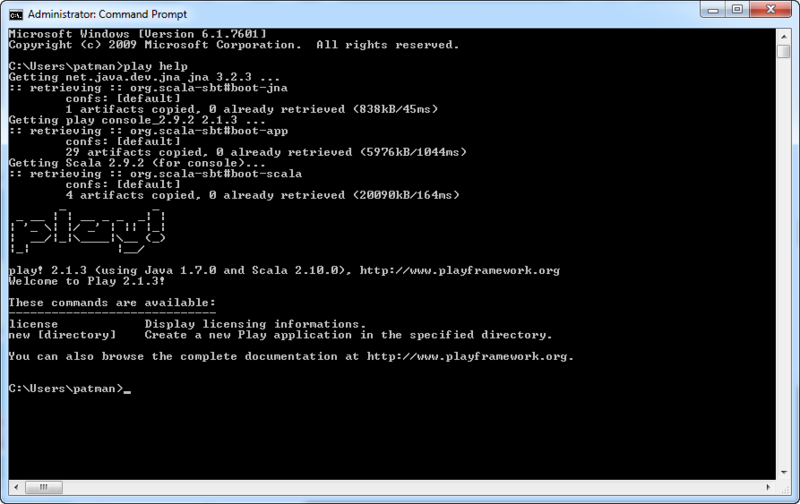 Now to get it working on cygwin. 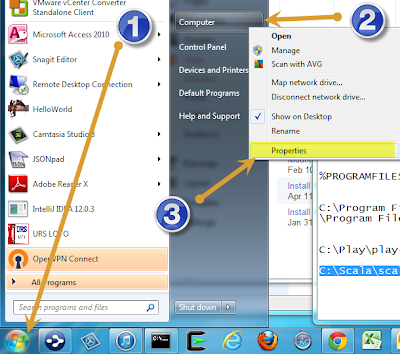 I tried to get it working and got a little frustrated until I found this post https://groups.google.com/forum/#!topic/play-framework/HR6WtivxWWY  where Michael Slinn posted a simple fix that worked for me. 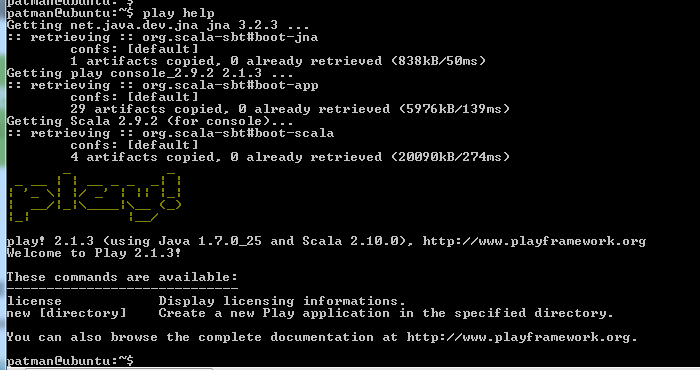 Here you can see scala is using Java 1.7_0_25. 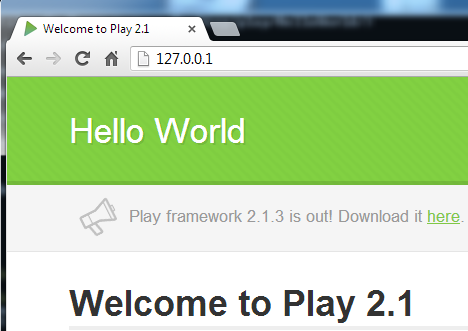 The HelloWorld WebApp is Running. The play framework, out of the box, will auto compile when any files are updated. Leave the program running, then run the following in another command prompt to edit a program file. 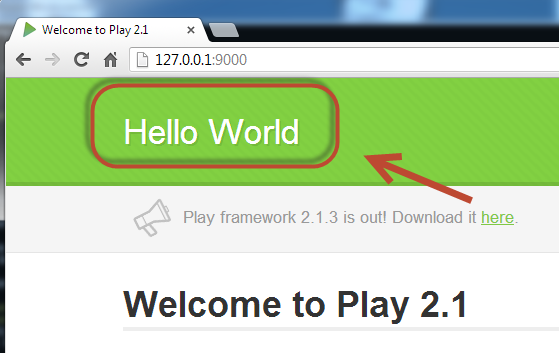 Make sure you are in the HelloWorld Web App Folder. 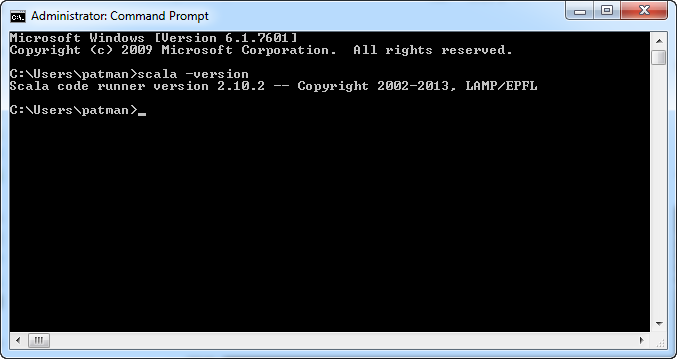 Edit "Your new Appliction is ready" to "Hello World"
Turns out Skype listens on port 80 and already had control of the port. 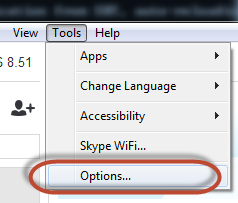 If I quit Skype, it works. 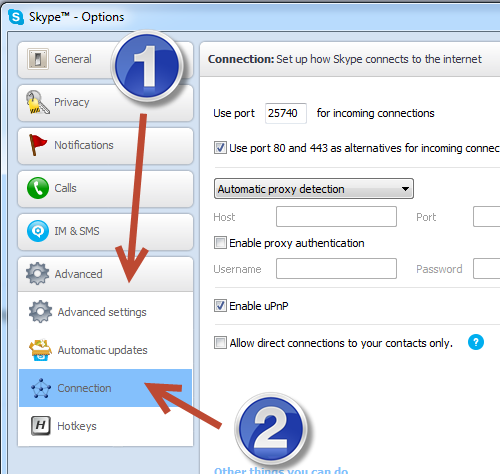 Now that I have noticed the problem with Skype listening on port 80, I want to fix it. 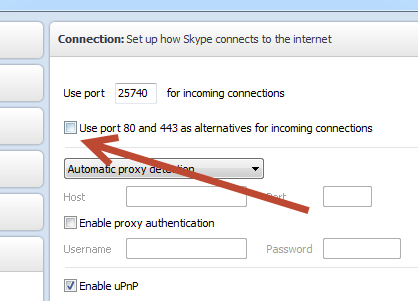 Uncheck the "Use port 80 and 433 as alternatives"
Quit Skype and reopen it. 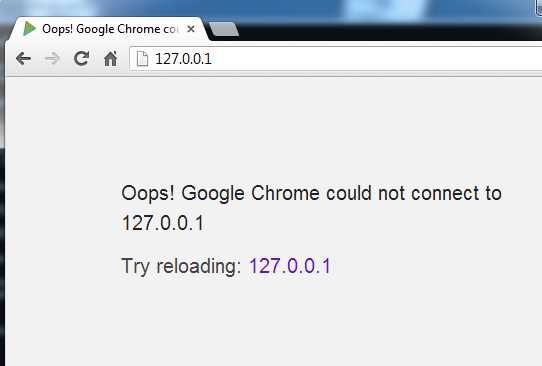 This fixed my issue. 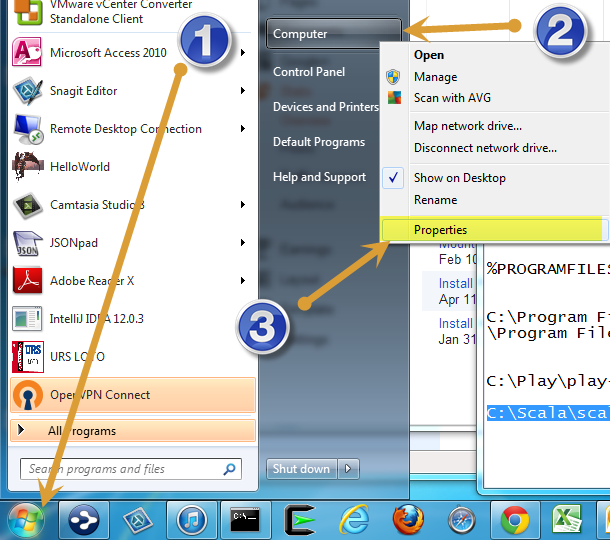 This may be something you can't do as Skype attempts to use port 80 and 443 to get by firewalls, if your company tries to block programs like Skype.